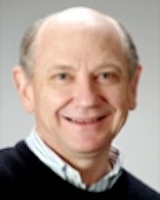 Paul Nation is Emeritus Professor in Applied Linguistics at the School of Linguistics and Applied Language Studies (LALS) at Victoria University of Wellington, New Zealand. His specialist interests are the teaching and learning of vocabulary and language teaching methodology. He has taught in Indonesia, Thailand, the United States, Finland and Japan. Key concepts of his works are word frequency lists as guidelines to vocabulary acquisition, the learning burden of a word, the need to teach learning strategies to students in order to increase their autonomy in vocabulary expansion for low frequency items, support to extensive reading of accessible texts (≥95-98% of known words), the usefulness of L2→L1 tools (dictionaries, word cards) for their clarity. 4. practice for fluency in all four of the basic skills.